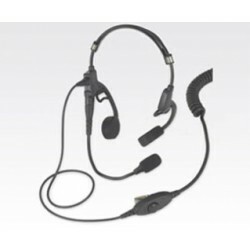 The PMLN5101 features an in-line PTT and noise-cancelling boom microphone. The Temple Transducer enhances communication and safety by not impairing the user’s hearing of the external sound environment. 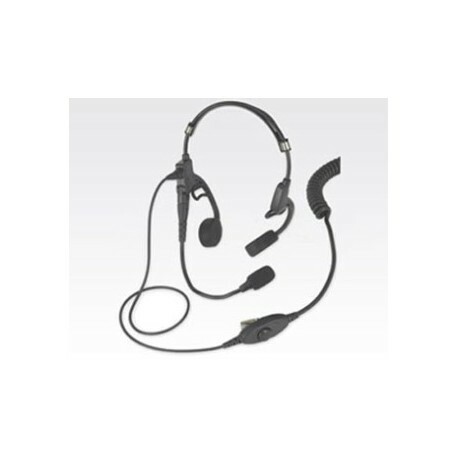 The receiver portion of this accessory rests on the temples and is capable of converting the receive audio from a two-way radio into sound vibration. 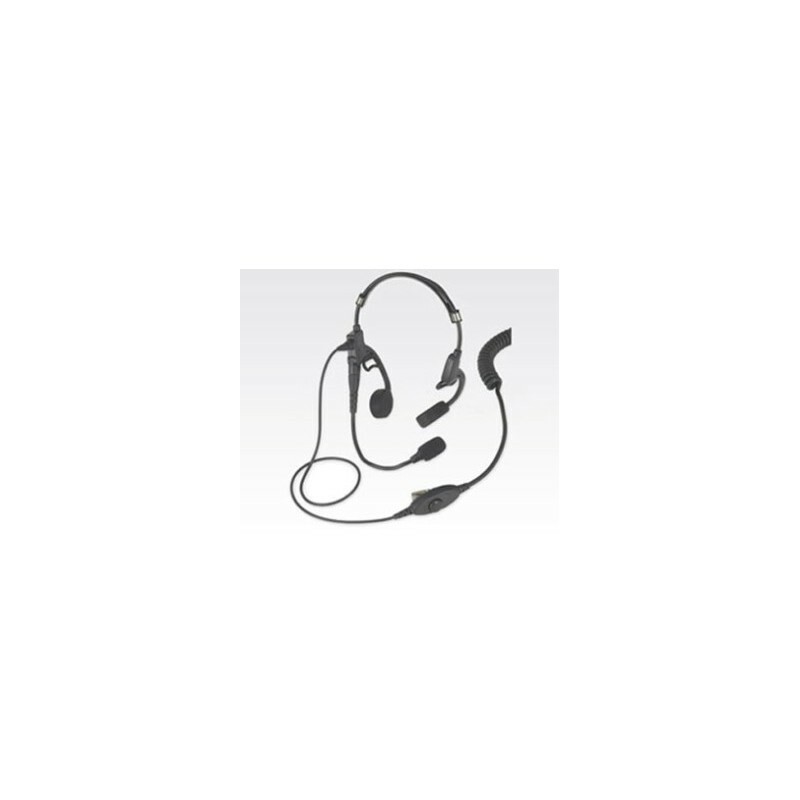 The sound vibration is transmitted through the surrounding human tissue and bone directly into the inner ear where it is received by the user.